A White and bright smile is more beautiful. In Dentalec we help you get it. We recommend do dental cleaning before any whitening, to get the right results. 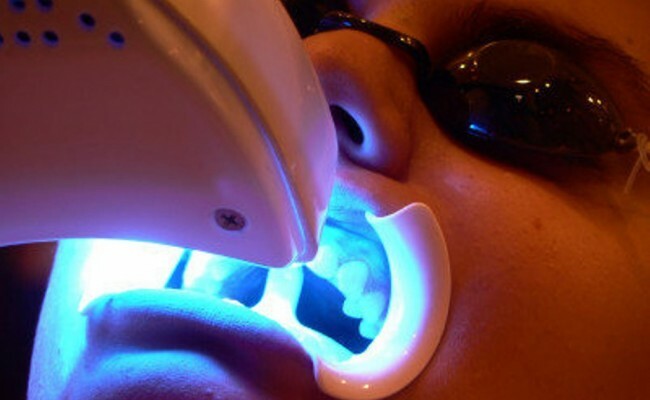 There are two types of teeth whitening procedures at home and office; both are safe for your teeth and gums. This whitening system is simple and easy, it only takes two appointments to get your kit and start in home. The kit includes a soft mouth guard made to the size of your mouth, the liquid to bleach and that´s it. We follow you during the process supervising with appointments to check if everything is working good. The results are achieved in a few days. Do you want faster results? We can offer whitening office! 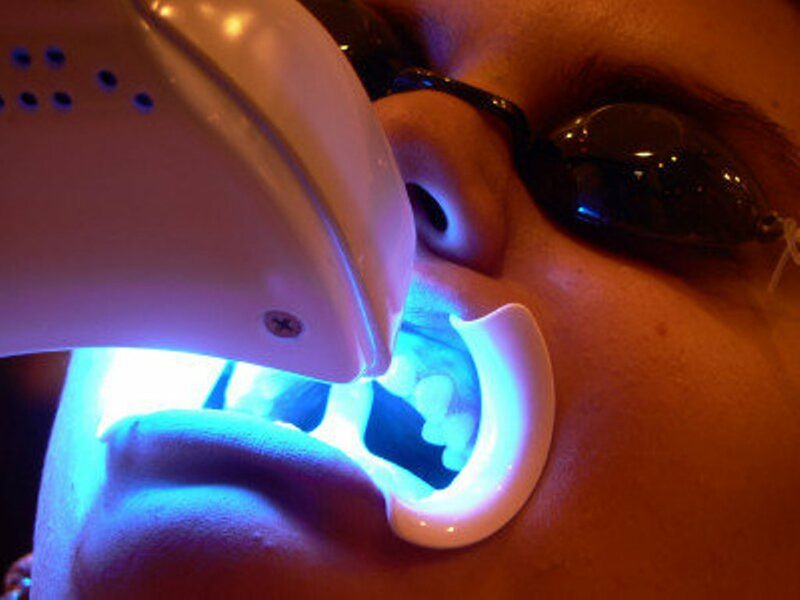 Whiter Teeth in an hour! 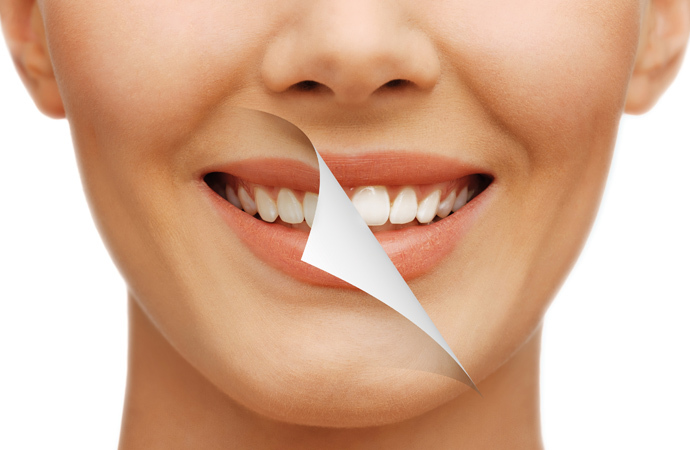 Our procedure of teeth whitening takes only one hour with immediate results. In this technique a hydrogen peroxide gel that is activated with a special light. Rest and relax, listen to music while their teeth are whitened. 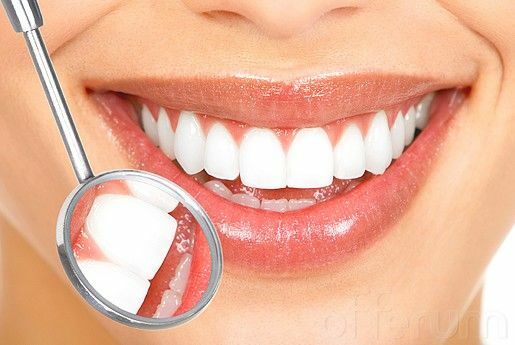 Do not wait and contact to Dentalec to schedule an appointment and we advice you, which is the better whitening method for you.